The perfect idea for a special Mum! 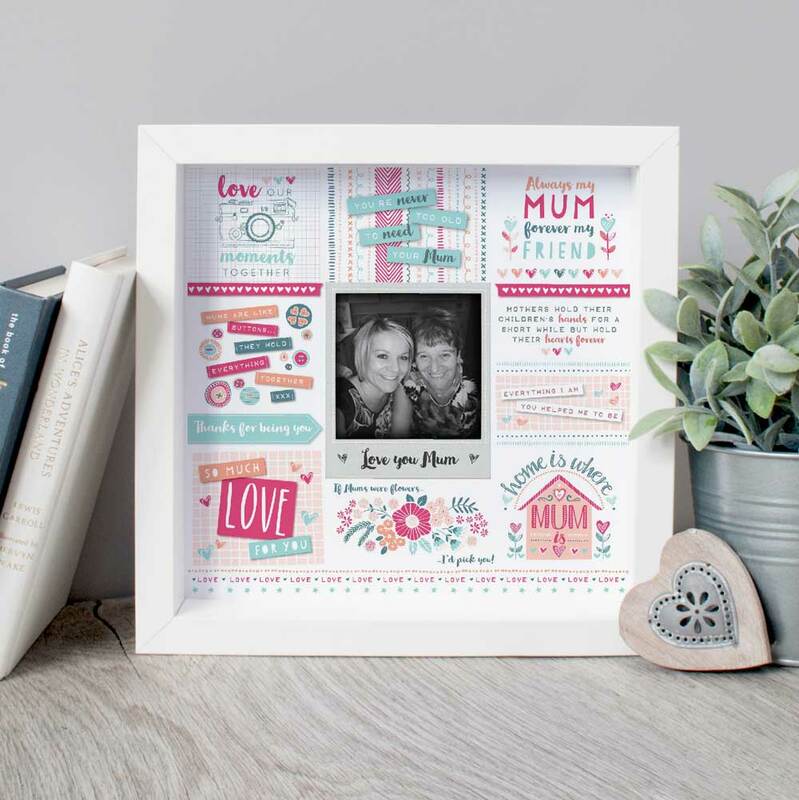 This beautiful bespoke print features a black and white polaroid effect photograph of your choice, complete with your own personal message printed underneath and surrounded by lovely little quotes about mothers, love and friendship to make the perfect, thoughtful gift. So why not buy something a bit different and give her a gift she can keep and cherish forever. Ideal for birthdays, Mother’s Day or perhaps even just as a little thank you gift. Simply email me with the photograph of your choice, and any wording you’d like printing onto the polaroid picture once you have placed your order.